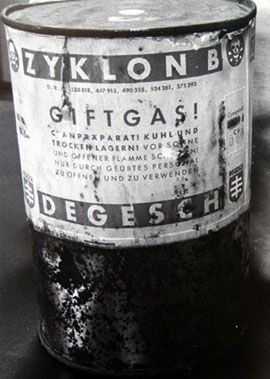 In the early ’20s, a group of Degesch chemists modified a cyanide-based pesticide called Zyklon A (“Cyclone A”), first synthesized by Ferdinand Flury, to create the more potent Zyklon B. This team was made up ofWalter Heerdt, Bruno Tesch, and Gerhard Peters. For two decades, Zyklon A and B were used mainly to fumigate grain, though they could also be used as de-lousing agents and rat poison. In the U.S., Zyklon B was used as a de-lousing agent on Mexican immigrants. Also, Pinal Airpark was the base of operations for known CIA front companies (Intermountain Aviation, Air America) during Vietnam, and as previously noted, some military training still goes on there. The Supertanker probably came under suspicion for two other reasons: It sprays stuff, and Evergreen states on its own website that it’s looking into non-firefighting applications such as oil spill containment (spraying oil dispersants), chemical decontamination and weather modification. What they mean by weather modification is, of course, cloud seeding and hail mitigation. Those are the only types of airplane-related weather modification we have. But as we’ve already seen in the ridiculous “chemtrail pilot” video above, chemtrail-watchers assume there could be some other, secret form of weather modification happening. What all of the Evergreen conspiracy people fail to grasp is that there is one Evergreen Supertanker. ONE. It can’t be spraying an entire state, much less the entire Western world. And judging by last month’s plea to the public, Evergreen isn’t making enough money from one Supertanker to justify the creation of any more. There isn’t a Supertanker fleet, and there isn’t going to be one anytime soon. A pesticide is any substance intended to kill pests: small animals, insects, weeds, bacteria, fungi, etc. When pesticide is used on a large scale to destroy disease vectors like rats, mosquitoes or lice, the process is known as vector control. Military forces have long sprayed pesticides in theatres of operation where disease-carrying insects pose a threat to ground troops. This began in WWII, with the use of DDT to kill off typhus-bearing lice and Anopheles mosquitoes (the 450 species that transmit Plasmodium, the micro-organism that causes malaria). The spraying was only part of the Allies’ anti-malaria campaign, though. Soldiers were also encouraged to keep their bodies well-covered at all times and sleep beneath mosquito-proof netting. 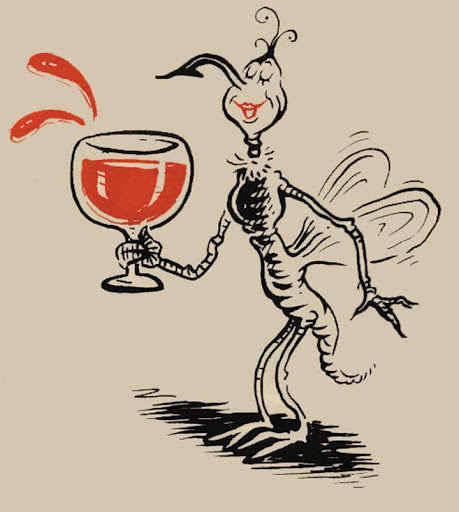 Dr. Seuss created Ann, the killer mosquito, as part of the army’s anti-malaria campaign. Domestically, air forces often spray over hurricane-affected areas to reduce the mosquito population and prevent the spread of disease. USAF pesticide spraying is usually carried out by the 910th Airlift Wing. The unit has six Modular Aerial Spray Systems (MASS), with four aircraft modified to carry them. Each MASS can hold 2,000 gallons of liquid and can spray 232 gallons per minute, dispensing 3-15 gallons per acre. It’s one of the only units equipped for the task (the 757th Airlift Squadron hasfour C-130H2 aircraft modified to accept MASS units, which were used for pesticide spraying in the wake of Katrina, but these planes aren’t available for aerial spraying on a full-time basis). On the municipal level, many cities have pest control programs to prevent the spread of West Nile virus, combat local tree pests, or lessen the nuisance factor of certain bugs. The work is sometimes contracted out to the lowest bidder, and/or conducted jointly with area universities. For example, the city of Winnipeg’s Insect Control program sprays insecticide (“fogs”) in many public areas during years when the mosquito population is expected to be high, in addition to larviciding operations focused on the region’s primary vector species, Culex tarsalis and Culex restuans. They currently use permethrin and malathion for fogging, which is done not by aircraft, but by truck-mounted aerosol sprayers. They also have spraying programs aimed at three elm-destroying pests, the Spiny Elm caterpillar, cankerworms and Elm Bark Beetles. 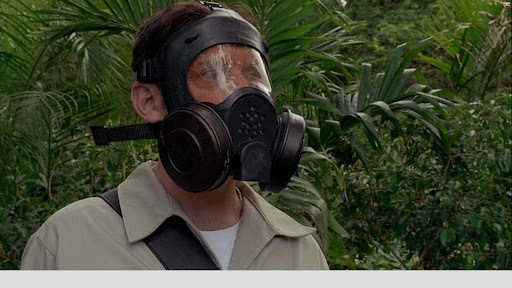 The program provides 8-hour advance warning of all fogging operations to the public via their website, and gives the names of all pesticides used. The major problem with any long-term spraying or netting program is that insects will eventually develop resistance to the insecticides. This is what happened during the World Health Organization’s mosquito eradication campaign in the ’60s, as discussed in the DDT section below. Crop dusting is the aerial spraying of insecticides and herbicides over crops for the purpose of killing off certain insects and weeds. Fertilizers and seed can also be aerially sprayed, a practice sometimes referred to as “topdressing”. Crop dusting has been done regularly all over the world since the 1920s. The first aerial pesticide spraying experiment was conducted over an Ohio field on August 3, 1921 – interestingly, by the same Lt. Macready whose La Pere plane left the first known persistent contrail over Ohio’s McCook Field that same year. The USAF was exploring a broad range of uses for aircraft in those days, and pesticide spraying had potential military applications. Disease had ravaged the trenches of WWI. 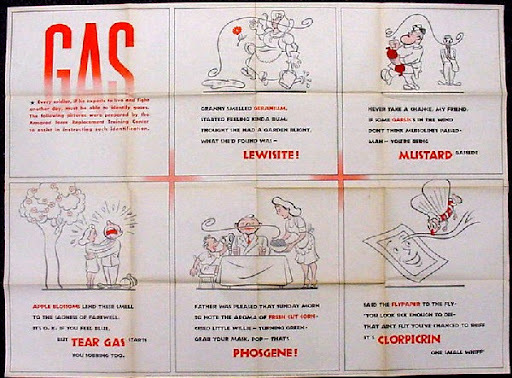 During WWII, a synthetic pesticide known as DDT was used to de-louse soldiers (lice carry typhus), and as vector control against malaria-spreading mosquitoes. This was the first use of airplane-mounted spray devices during wartime. The chemical had been sitting on the shelf, so to speak, for over a century before a Swiss researcher discovered its powerful insecticidal properties. Allied planes were rigged with specially designed tanks to spray the “new” pesticide in mosquito-infested regions. The fledgling World Health Organization launched a global mosquito eradication campaign with DDT a few years later (excluding Africa, where malaria was – and is – most difficult to defeat). This effort consisted of spraying the interiors of individual dwellings twice a year, using 2 grams per square foot of DDT. Malaria rates plummeted. The campaign was so successful that in the early ’50s the London School of Hygiene and Tropical Medicine published a series of lectures with the triumphant title Man’s Mastery of Malaria. Then problems developed. Chicken deaths and ephemeral suspicions turned rural villagers against DDT spraying, Ghandi voiced opposition the program on religious grounds (the intentional killing of living creatures), and – worst of all – mosquitoes and other pests were developing resistance to DDT. By 1962, the London School of Hygiene was fretting about this. At the same time, concerns about the toxicity of DDT were growing. Even in the early ’50s, some scientists considered DDT too toxic for general use. There was little federal regulation of pesticide production at that time, so chemicals could be put on the market with minimal testing and very little quality control. The problems with DDT are manifold. The big problem is, it’s a persistent organic pollutant that bioaccumulates, remaining in the food chain until animals near the top (mostly birds) sicken and die. Concerns about its effects spawned one of the most influential and enduring works of environmental literature, Rachel Carson’s Silent Spring (1962). The book was not just about DDT, but all the synthetic chemical pesticides. At the time Rachel Carson wrote Silent Spring, there were two classes of insecticides in wide use: Chlorinated hydrocarbons (DDT, chlordane, endrin, etc.) and organic phosphates (parathion, malathion, etc.). Surprisingly, Carson identified endrin as the deadliest of all. It seems DDT became the focus of public concern not because it was the most toxic insecticide, but because it was the most popular one. By this time, over 30,000 tonnes were being sprayed annually. Entire nations relied on it as a vector control to halt the spread of malaria, typhus and dengue fever. Many African countries and large parts of India still use it to prevent malaria, coating the interiors of homes and businesses. Nonetheless, WHO halted its mosquito eradication program in 1969, and no comparable effort has been undertaken since. In 1971 and ’72, in response to public pressure, the EPA held DDT review hearings that lasted for seven months, resulting in the insecticide being banned for most uses. Why was DDT being used in Africa and India even as Westerners campaigned fiercely against it? Because it worked. When DDT was sprayed, malaria went away. When the spraying stopped, malaria swept through the land like a scythe. It is seen as the lesser of two evils. Would you rather die of malaria now, or live a much longer life that may end by DDT-related health defects? WHO plans to phase out DDT use within the next decade. Believers in the depopulation conspiracy theory have a divided opinion of DDT, too. Some view it as part of a flat-out chemical assault on humanity, banned only because a few brave souls fought doggedly against the establishment. Others think DDT is a boon to mankind, and was banned by those who want us to die from malaria or bubonic plague. Marjorie Mazel Hecht, in a 1997 edition of the LaRouche organizations’s Executive Intelligence Review, declared, “DDT is the ‘mother’ of environmental hoaxes.” In Hecht’s opinion, the EPA had already proven it to be safe after seven months of hearings, then administrator William Ruckelshaus banned it solely because it had saved millions of lives. There continue to be major concerns about the toxicity of the chemicals used in crop dusting. For instance, the safety of Roundup, the world’s most popular brand of herbicide, has been called into question (8), and the neonicotinoid pesticides are strong suspects in mass bee deaths (colony collapse disorder). But there is really no way that crop dusting could be honestly mistaken for “chemtrail spraying”. It involves small planes rather than jets, and is done at extremely low altitudes by skilled pilots (we’ve all seen North by Northwest, right?). No metals are involved (metal-based insecticides were phased out years ago). If you tried to alter the weather or cool the climate or kill vast numbers of people by spraying selected crops with pesticides at low altitude, you would fail. When you spill a lot of crude oil (I mean a lot of oil), there a limited number of ways in which you can clean it up. That’s why every time there’s a massive oil spill or leak, crackpots leap out of their basement labs to share their ideas about staunching the flow with giant vacuum cleaners or giant mattress pads. One of the slightly saner methods of dealing with marine oil disasters is the use of chemical oil dispersants, which are commonly sprayed from low-flying aircraft. As mentioned earlier, the 910th Airlift Wing of the USAF Reserve has an Aerial Spray Squadron equipped with six Modular Aerial Spray Systems (MASS) and four C-130H planes modified to use them. Each MASS has a 2,000 gallon capacity and can spray up to 232 gallons of liquid per minute. We’ll be seeing the MASS again in a post about chemtrail whistleblowers. The use of dispersants is controversial, and there are serious concerns about the health effects of the dispersant Corexit, used after both the Exxon Valdez and Gulf oil spills. 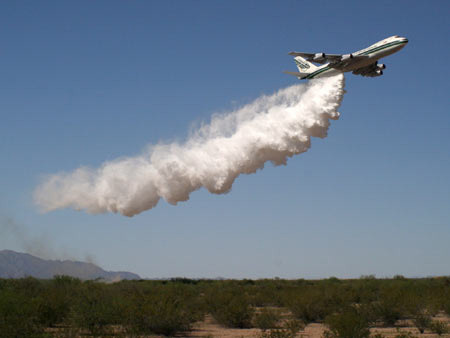 But as with firefighting and crop dusting, aerial oil dispersal just doesn’t fit neatly into any possible chemtrail scenario. 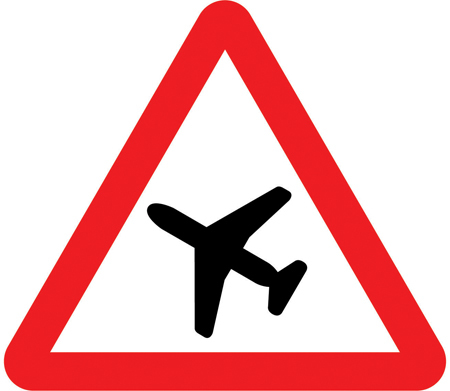 We’re talking about low-flying, easily recognizable aircraft performing a highly specific task. This can’t account for “strange” contrails, barium in the water, or anything else connected to the chemtrail phenomenon. Ionospheric research plays a huge role in chemtrail theories, and we’ll be getting into a lot more detail about it in later posts dealing with HAARP and weather modification. 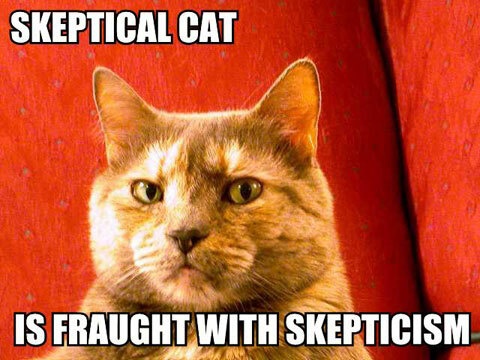 For now, we’ll just lightly touch on the subject, even though the experiments mentioned here don’t involve airplanes. The ionosphere is the multi-layered zone of electrons and electrically charged atoms and molecules (ions) that surrounds our planet. If the atmosphere was a parfait (everybody likes parfait), the ionsphere would be like the whipped cream topping, mixing with both the chocolate shavings (the exosphere) and the top layer (the thermosphere), where the air is so thin that free electrons can bounce around for short periods of time before being captured by positive ions. The negative free electrons and the positive ions are attracted to each other by the electromagnetic energy from the sun’s ultraviolet radiation, but are too energetic to remain in an electrically neutral molecule, creating a plasma. The plasma in these ionized portions of the atmosphere is the ionosphere, which extends from a height of about 30 miles above the earth’s surface to more than 360 miles. This is where auroras are made. The ionosphere has mirror-like effects, making it an excellent reflector of radio waves. Countless military and civilian operations rely on it for their communications systems, groups as diverse as the U.S. Navy and the BBC. 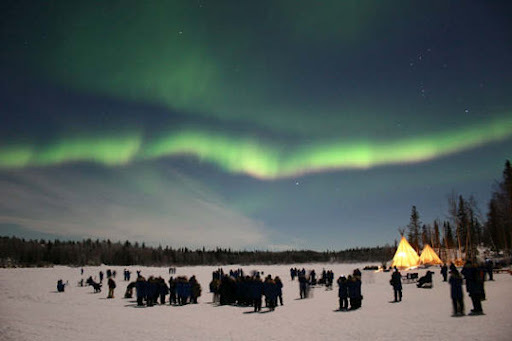 Much of the ionospheric research mentioned here is done, in large part, because of concerns that such communications will be disrupted or even shut down entirely by solar activity or “enemy” technology, but scientists are deeply interested in the chemical composition and behaviour of the ionosphere. Studying the ionosphere is problematic. Its lower levels are below the orbital altitudes needed for satellites, yet far too high up for balloons or aircraft. Nonetheless, ground-based tests utilizing sounding equipment (ionosondes) and satellites began in the early ’60s. Then, in the mid-’60s, scientists hit upon the idea of using rockets to shoot barium into the ionosphere, creating “clouds” of barium particles that would be ionized by the sun’s ultraviolet light, then become trapped by Earth’s magnetic field, making magnetic field lines briefly visible to ground- or air-based observers. These “clouds” are essentially artificial auroras. In later experiments, barium clouds were released from satellites. Lithium and aluminum have also been used. These aerosol (particle) injections have been observed to stimulate a number of changes in the plasma of the ionosphere, contributing greatly to our knowledge of how the upper atmosphere works and responds. Not all the post-’60s ionospheric experiments have involved particle injection, though. Radio research – much of it “passive”, in scientific parlance – is now the primary source of information about the ionosphere. The Arecibo radio telescope in Puerto Rico, made famous by the movie Contact, was originally set up to study the ionosphere. Now it’s one of many incoherent scatter radars used in ionosphere research, along with coherent scatter radars like the Super Dual Auroral Radar Network. HAARP, the shadowy behemoth at the heart of so many chemtrail theories, uses high-frequency radio waves (up to 3.6 megawatts, roughly three times more than a typical broadcast radio transmitter) to accelerate the electrons in the ionosphere, creating artificial auroras and even bullseye patterns. In June 1976, a barium plasma injection experiment was performed at the ERDA test facility on Kauai (ERDA was absorbed into the U.S. Department of Energy the following year, so that’s probably why you’ve never heard of it). In 1989, barium injection experiments were conducted with the CRIT-II rocket to investigate the critical ionization velocity theory first proposed in the ’40s. The Active Plasma Experiment (APEX), conducted throughout the ’90s, was a joint project involving several countries. The APEX and MAGION-3 satellites were launched into orbit in 1991. In January 1999, U.S. researchers launched a sounding rocket from the Poker Flats Research Range into the ionosphere. Aluminum was used in this experiment. In the Combined Release and Radiation Effects satellite (CRRES) experiments of 1991, NASA and Air Force researchers released barium and lithium vapours from the satellite over Brazil, creating balls of blue-green light in the sky. The CRRES satellite was launched in 1990. The project was intended to provide information about the magnetosphere and magnetic disturbances in space (which can affect power transmission and satellite communications). The Coqui experiments: In the spring and summer of 1992 and again in early 1998, NASA (in conjunction with the Arecibo Observatory) launched Nike-Tomahawk, Black Brant, IX and VC sounding rockets into the ionosphere from Puerto Rico to create artificial disturbances in the ionosphere, studying its reactions. Instead of barium, the project used trimethylaluminium (TMA). The Coqui launches were declared a success by NASA, although the chemical payloads of the rockets were never recovered and there was strident opposition to the experiments from locals who worried about the environmental and health effects of TMA. Today, many chemtrail researchers perusing research papers on these barium experiments see the words “barium” and “cloud” and conclude that contrails and/or some of the clouds we see in the sky could actually be man-made barium clouds. I have found excerpts from this 1980 paper on numerous chemtrail websites. But barium particles released into the lower levels of the atmosphere (the troposphere or stratosphere) are not going to behave the same way as particles released into the ionosphere. Confusion is understandable. The plasma physicists who deeply understand this stuff could probably fit into a shower stall. What we’re going to examine here are the aerial spraying tests. Zinc cadmium sulfide was chosen for the trials because it fluoresces under light, making it easy for researchers to track its dispersal. 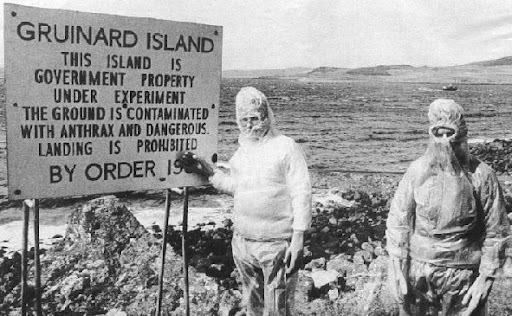 Also, the particles used were similar in size to inhalable anthrax, considered to be the Soviet biowarfare agent of choice. The Army’s Operation LAC, conducted in ’57 and ’58, was the largest-scale testing ever undertaken by the Chemical Corps, extending across much of the nation east of the Rockies. LAC used a modified C-119 “Flying Boxcar” borrowed from the Air Force to release zinc cadmium sulfide particles. A typical flight would cover 400 miles and release about 5,000 pounds of particles, which were found up to 12,000 miles away from the flight line. One of these spraying operations occurred directly over my hometown. Fluorescent particles were also sprayed from modified vans in Cardington, Bedfordshire and in Norwich, Norfolk. In 1997, the U.S. National Research Council’s Subcommittee on Zinc Cadmium Sulfide published a Toxicological Assessment of the Army’s ZCS Dispersion Tests. The conclusion was that no adverse health effects had occurred. This incident apparently didn’t involve any aerial spraying, but I’d like to briefly examine it here to note the strong parallels between chemtrails and the odd rumours and theories that mushroomed out of the “windshield pitting” panic of 1954. In late March of that year, car owners in the town of Bellingham, Washington, reported an unusually high number of pits, scratches and cracks in their windshields. Kids with BB guns became the first suspects, but as reports of windshield damage began to spring up in Mount Vernon, Sedro Woolley, and even Fidalgo Island over the following days, more exotic theories developed. Many suspected some airborne chemical, like a corrosive emission from industry (there were reports of a black, sooty residue in connection with pitted windshields, widely believed to be carbon). Others thought a passing meteor had blasted their cars with space-pebbles. Some thought that a million watt radio transmitter installed by the Navy at Jim Creek was causing oscillations in glass. The Navy Commander in charge of Jim Creek, George Warren, pointed out that a windshield would have to be several miles wide to match the frequency of the transmitter, and that no pitting was being found at Jim Creek. Many feared the damage came from radioactive fallout from either Soviet or U.S. military tests. Many thought sand flea eggs embedded in the glass were responsible. Others blamed cosmic rays or a shift in the earth’s magnetic field. This was not a small-town phenomenon. On March 23, 1954, reports of the Bellingham mystery had appeared in Seattle newspapers, and over the next 21 days, reports of damaged windshields crept steadily closer to Seattle. Spokane, Tacoma, Olympia and Seattle suburbs soon had rashes of reports. Motorists began stopping police cars to report damage. Auto dealerships and parking garages complained of massive pitting. Then the reports spread even farther afield, with thousands of pitted windshields spotted throughout Stark County, Ohio, in the first half of April. Police officers there tried to simulate the damage by peppering glass with various projectiles, but never got to the bottom of the mystery. The Automobile Club of Washington offered a $500 reward for information leading to the arrest and conviction of any windshield-damaging culprits. Carbon was quickly eliminated as a suspect, because particles large enough to ding windshield glass would also have an effect on many other, softer materials, including automotive paint and human flesh – yet no such damage was being reported. Aside from a few isolated reports of damage to house windows, this was strictly a windshield-related phenomenon. Enterprising residents conducted their own tests. Robert H. Scott of Mountlake Terrace placed sheets of glass on his lawn overnight to see if they developed the same kind of pits as his windshield. He reported that they did, but didn’t render his glass samples for scientific analysis. Similar anecdotal results popped up in news stories, without corroboration. Meanwhile, the paper and fabric covers that people were placing over their cars sustained no damage or mysterious marks. On April 14, the pits struck Seattle. This was not unheard-of; in 1952, there had been a spate of reports about vehicles on the city’s Harbor Island having chipped paint and windshields. This earlier cluster of windshield damage was dissimilar to the windshield-pitting, though, and the scale was far larger this time. Seattle Mayor Allan Pomeroy promptly fired off a telegraph to the White House, requesting that Eisenhower launch a federal scientific investigation into Washington’s dinged windshields. This was the same day that 30 police officers in the western part of Washington convened and issued a declaration that the pitting was being caused by “some form of ash”. Just how they reached this conclusion was entirely unclear, as ash would certainly not account for the “bubbling” that Olympia Police Chief Roy Kelly claimed to have witnessed happening on his own windshield. Two Seattle sheriff’s deputies also claimed to have watched pits form in the windshield of a pie truck right before their eyes that afternoon. This may have put an end to the panic. The number of reports plummeted overnight, and by the end of the month the epidemic was at an end. The scientific investigations, having found little more than normal windshield damage and some coal dust, were quietly wrapped up. But the incident would provide rich fodder for further scientific research, particularly among sociologists interested in outbreaks of mass delusion. Newspaper stories undoubtedly caused “pitting” sightings to increase and the panic to spread, just as local TV news segments and Internet videos are alerting people to “chemtrails” today. Although windshield pitting is incredibly common – take your new car out on the freeway and tell me it isn’t – it was only when the media called attention to it that people actually scrutinized their windshields and noticed minor damage they had previously overlooked or ignored. Military technology, little-understood by the general population, was blamed, just as the baffling HAARP project is linked to chemtrails today. Nowadays we realize that a radio transmitter cannot ding your windshield, but at the time it seemed as likely a possibility to some Seattleites as sand fleas or graphite pellets. Sorry, car guys. It’s already happening again. * And that’s where Faygo comes from. 4. Germs by Judith Miller, Stephen Engelberg, William Broad (Simon & Schuster, 2001). Note: This book should be approached with caution, as Judith Miller is not exactly known for her journalistic acumen. But it does contain some solid historical information corroborated by other sources. 6. Wikipedia entry for Agent Orange. Accessed July 23, 2012. 7. Wikipedia entry for Operation Ranch Hand. Accessed July 23, 2012. 9. Wikipedia entry for 2,4,5-T. Retrieved July 25, 2012. 13. Wikipedia entry for Cloud Seeding. Accessed July 29, 2012. 17. “Millions Were in Germ Tests” by Antony Barnett. The Guardian, April 21, 2002. This entry was posted in Chemtrails, Conspiracy Theories, Controversies, Following the Chemtrails and tagged chemtrails, conspiracy theory, Following the Chemtrails, history, science. Bookmark the permalink. I am so impressed with your blog. The content, grammar, punctuation, spelling, thoroughness of research and citing is well above the caliber of the average housefrau. I can't believe HuffPost or a major magazine hasn't picked up on your blog. You definitely need to get an agent. Splendid work. I learned a lot. Two comments, and one note.Comment: Gandhi's objections to DDT cannot have had much influence in the 1960s, because he was killed in 1948. While he was respected for his inspirational leadership in the independence cause, his social and economic ideas were rejected by the actual politicians of the Congress Party (such as Nehru). Gandhi thought India should remain agrarian, with only household industry; the Congress supported development of heavy industry such as steel mills. On a practical issue such as fighting malaria, Gandhi's religious objection to DDT would have been dismissed even in his life, much less years later.The "World Peace Council" whose commission claimed to confirm Chinese/North Korean allegations of biological war was a notorious Communist front. The "evidence" included "confessions" extracted by torture from American and British PoWs. Commission chairman Joseph Needham was a passionate Sinophile and as a "Christian socialist" became deeply sympathetic to Chinese Communism. His own biographer has written that "communist spymasters and agents… pitilessly duped him. "Note: There was supposedly a proposal for US use of germ warfare during WW II. Stanley Lovell was head of R&D for the OSS. In his memoir, he said it was in 1943, just after the Allied defeat at Kasserine Pass in North Africa. The Allied forces in Tunisia were dependent on a single rail line to Morocco. There were reports of German SS troops secretly in Spanish Morocco, who might move in and destroy the rail line.Lovell was asked to find an unconventional way of preventing this. He consulted germ-warfare experts, who proposed blanketing Spanish Morocco with goat dung impregnated with deadly bacteria. This plan was code-named "Capricious".This story appears in Chapter 13, "Capricious", of his 1963 memoir Of Spies & Stratagems. R.R. : Thanks! I may have to add Capricious to this post, along with fears that potato beetles would be used during WWII/the Cold War. 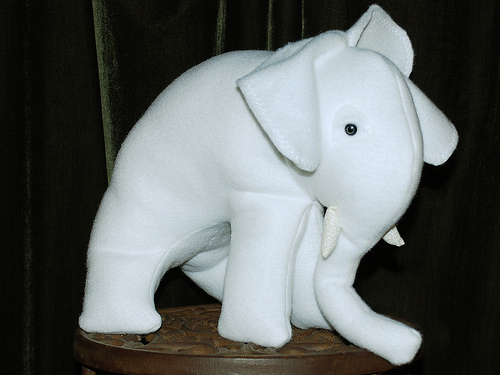 I like the preciousness of your blog, are you by any chance a political speech author ? May I inquire as to why the aerial spray (chemtrails) trails typically appear in uniform patterns (cross grids) over the entire breath of the sky and generally three to five day ahead of storm fronts ? If not for some kind of weather modification, then for what reason does this phenomena which until only recently (in the past 15 or so years) been observed? 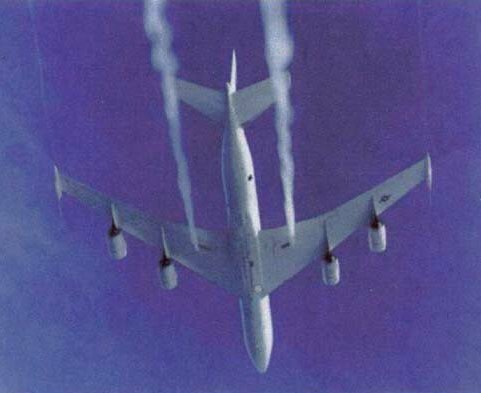 AS an Airman in the US Navy, during the late 70's and early 80's, I don't recalled observing at anytime, all around the world I had been assigned, jet trails remotely close to what is now going on in the sky from high flying unmarked birds. Skeptical of government's concealment of secret programs involving mass exposure to our country's citizens from aerial spraying, Oh Yea! You failed to include in your blog our government's mid 1950's aerial program of Radioactive particle being dispersed over heavily populated cities in north America (Chicago, Detroit & Windsor, ON) to determine the patterns of dispersal. I do! I still wear the scares on my skin from it! Of course it wasn't until years later, I read about this insidious program. I came to realized why my brother and I came to bare the scares of the unnatural moles on our backs, do to their experiments on US citizens. UFO'? Maybe! CHEMtrail – without a doubt !!! Only question is – What to do to have the program halted? Not by our demanding halting the program from elected Congressional leaders, who shrink away and act afraid, when ever confronted with the program's very existences. What do they know about it? What makes them so nerves? Thanks for the feedback, Anon, but you don't provide enough solid information for me to address. Perhaps you could be more specific by providing some evidence that storm systems routinely follow days of heavy air traffic, and that there is a connection between these two things. I'm finding that a lot of a chemtrail-watchers are having problems with causality. They see several contrails in a single day. Three days later, it rains. They decide there must be a connection…but there isn't necessarily a connection, is there? The particle trials conducted in Canada and the U.S. are covered in this post, in the "Biowarfare Simulation Tests" section. I am not aware of any trials involving radioactive material. If you have any sources for that information, by all means pass them along for inclusion in this post. FROM SICRET PROJECT “WHITE COAT” IN FORT DETRICK, TO WORK BETWEEN SDA AND NAZIS! Original very dark SDA Story, exactly very criminal-terrorost Story of Adventists!!! FOLLOWING THE FORT DETRICK, ADVENTISTS, CIA AND PROJECT “WHITE COAT” THE NAZIS!!! chemical & bilogical experiments for Chemtrailtechnology today!!! Zyklon B was used to kill the parasite that caused typhus. The holocaust is a lie, from beginning to end. If you want to learn the truth, watch anything Dennis Wise makes in documentaries on Youtube. Everything they taught us in school is a lie, EVERYTHING. They were doing the exact protocol on Elis Island when immigrants arrived. FROM AUSCHWITZ TO FORT DETRICK K!!! Project “Paper Clip”&PROJECT “White Coat”!! !